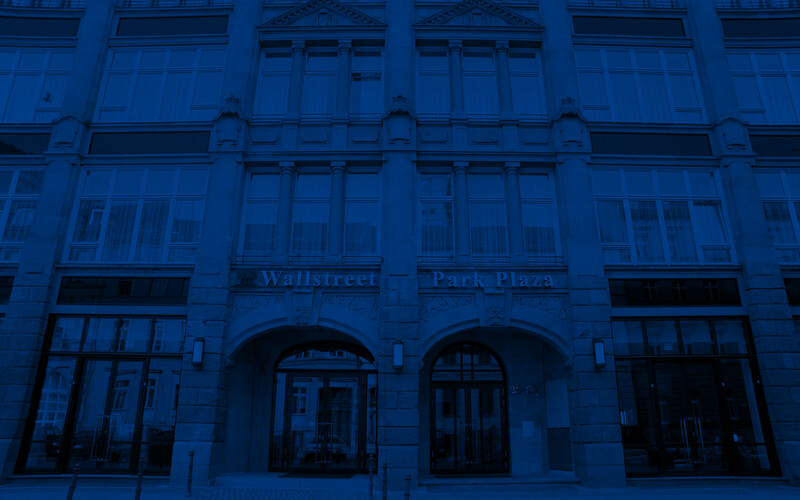 Located in the vibrant hub of historic Berlin, Park Plaza Wallstreet Berlin Mitte tastefully alludes to the New York Stock Exchange through unique interior décor. Our contemporary hotel offers free Wi-Fi, an on-site business centre, a private screening room/cinema, meeting rooms, private parking and the Light Lounge, a terrace bar with a trendy, upscale ambience. Convenient to the fairgrounds and congress centre, our hotel sits opposite the Spittelmarkt and Märkisches Museum underground train stations for easy access to sites throughout the city. Enjoy a leisurely stroll to Berlin’s top local attractions, including Alexanderplatz, Berlin Cathedral, Museums Island, Reichstag, the Brandenburg Gate and Friedrichstrasse. After a day of sightseeing, return for a meal at our Light Lounge Restaurant or cocktails at Bar Rule 405. 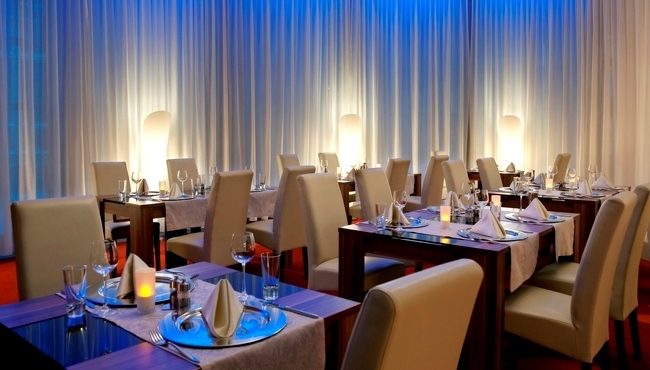 The Light Lounge Restaurant at Park Plaza Wallstreet Berlin Mitte serves delightful cuisine in a refined setting with à la carte convenience. Relax in the exclusive, attractive atmosphere, where direct and indirect lights create a delicate ambience for an afternoon or evening meal. The Light Lounge is ideal for a quick lunch with colleagues or for a romantic dinner with your special someone. The attached lounge, Bar Rule 405, has welcomed film and music stars and is the ideal spot to end the evening with signature cocktails.